By Tyson Hugie. Photos by Jhae Pfenning. 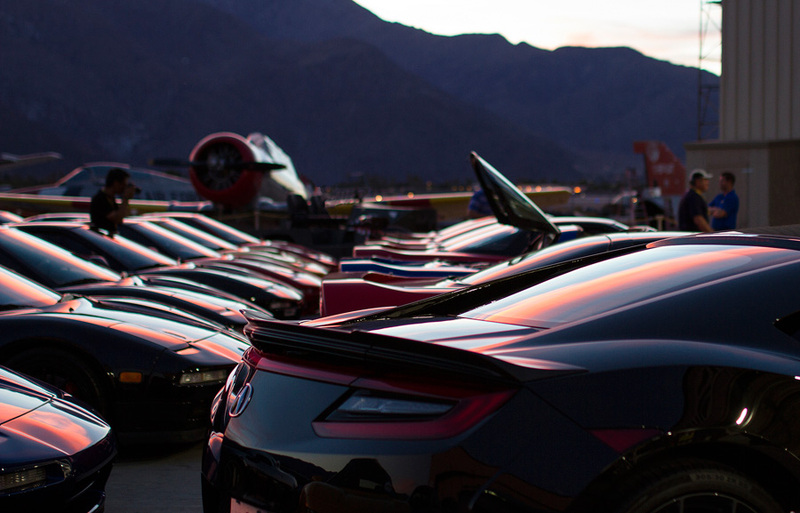 The unsuspecting residents of Southern California’s Coachella Valley were swarmed over Columbus Day weekend by upwards of 200 Acura NSXs participating on a 4-day convention. 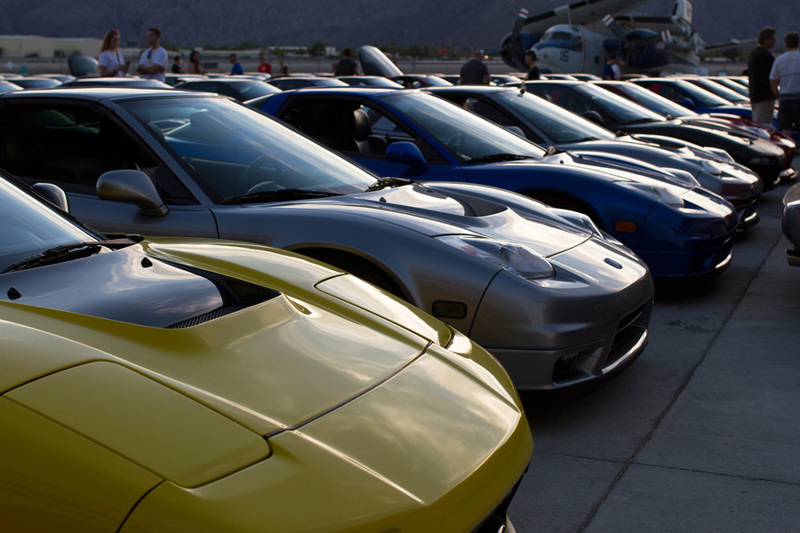 The event, called NSXPO, is an annual tradition of the NSX Club of America (NSXCA) that has been held in cities across the United States for over a decade. 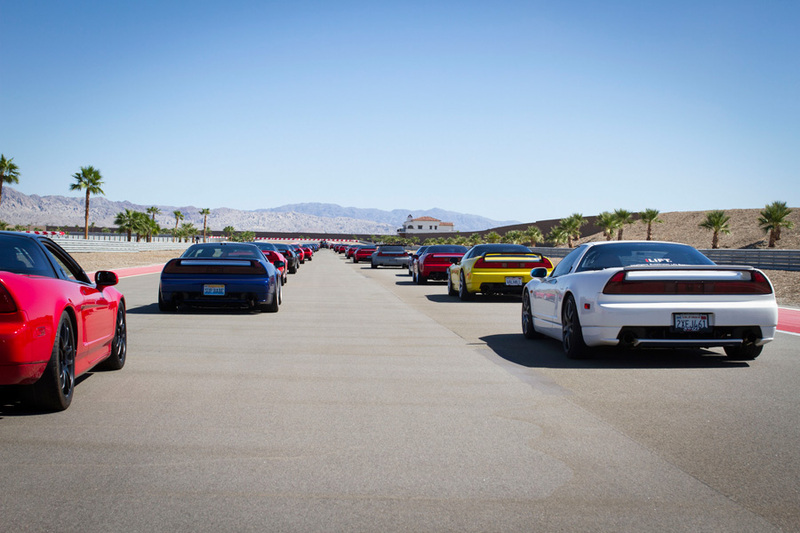 With each passing year, the scope and size of the event grow, and this 2015 program marked the largest single gathering in all known history of NSXs in North America. 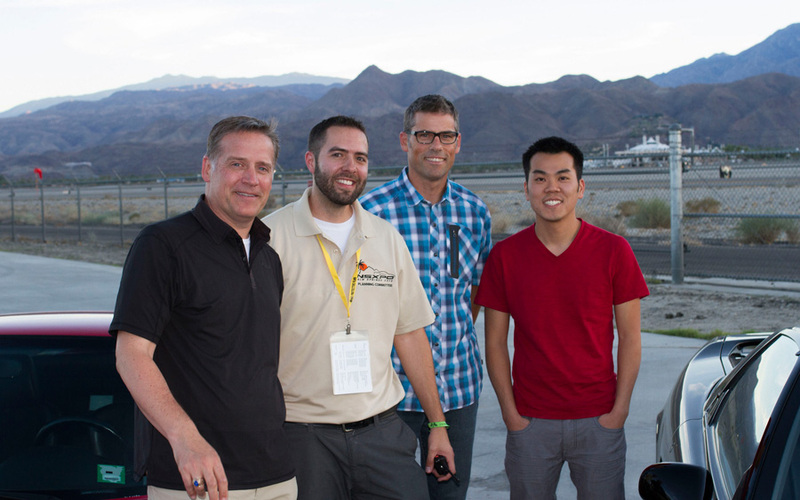 Palm Springs made the perfect host location for this multi-faceted event which drew attendees from as far east as Manhattan and as far north as Edmonton, Alberta. 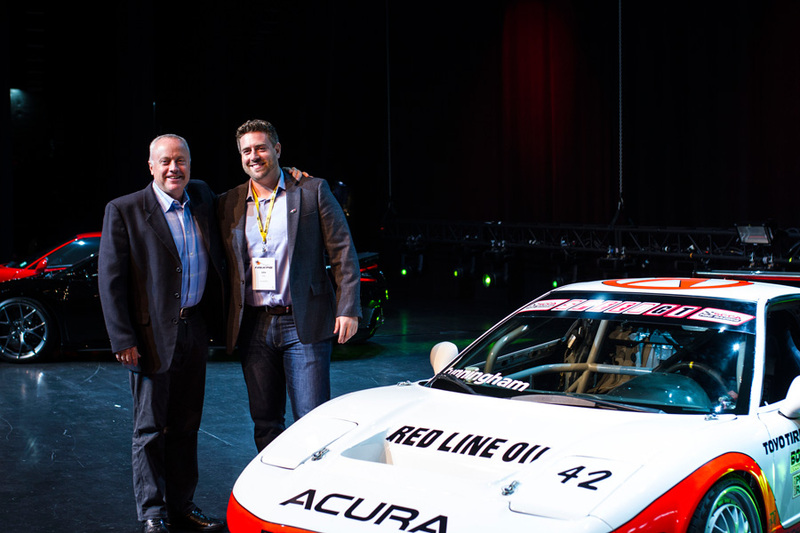 Event Director Chris Willson, who is a long-time NSX enthusiast whose line of work at ScienceofSpeed specifically involves NSX performance, took the reins in assembling a team and acting as the face of NSXPO. The event kicked off on Thursday, October 8th at the Palm Springs Air Museum where the aircraft were moved aside and the NSXs took over on the tarmac just outside the hangar door. Event Photographer Bob Ondrovic braved the heights of a scissor lift to capture a sunset photo of the cars & their owners at just the right angle. 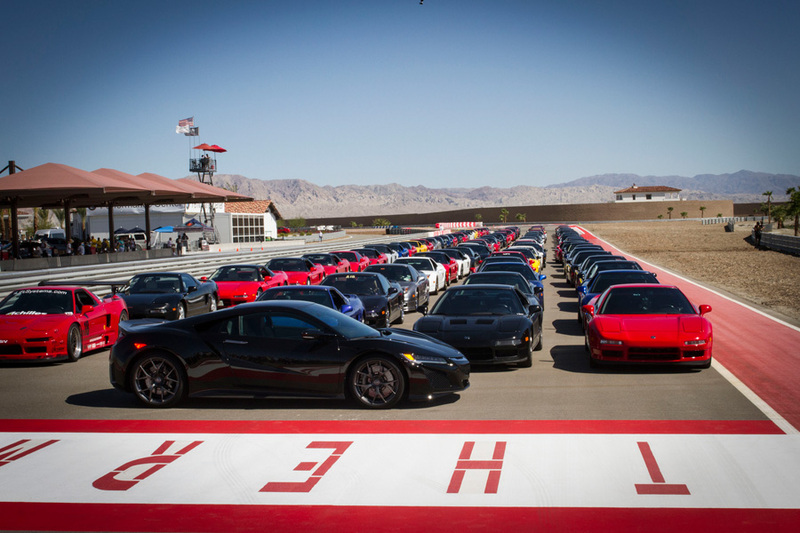 Best of all, the centerpiece for the group photo was the all-new Acura NSX – back after a 10-year hiatus as a halo car that embodies Acura’s capabilities in styling, performance, and handling. 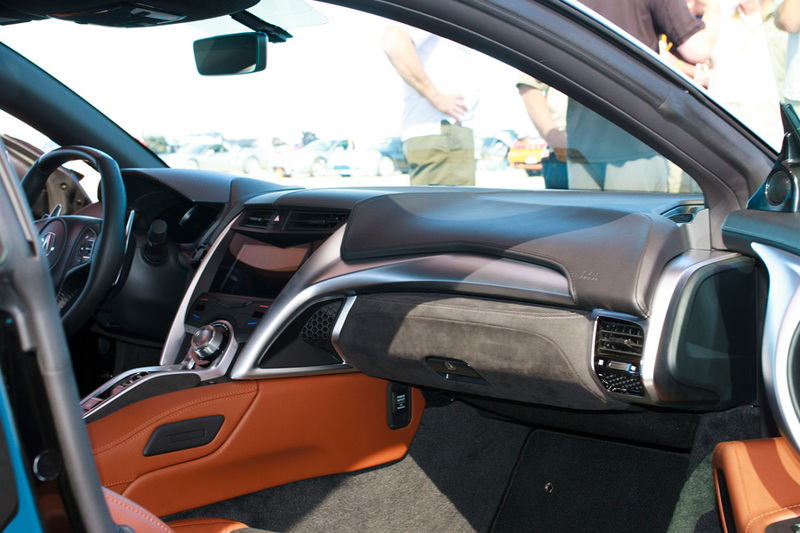 Acura representatives were present throughout NSXPO to share insights on the new car, including Project Leader Ted Klaus and Lead Interior Designer Michael Cao. Judging took place that same evening for the NSXPO Concours d’Elegance, with winners to be selected in a total of 10 categories. On Friday, a members-only racetrack called The Thermal Club opened its doors in a rare and exclusive opportunity for all credentialed NSXPO attendees. HPDE Director Jim Cozzollino had arranged for club members to participate in performance driving on the South Palm Circuit, as well as the autocross & skidpad facilities. 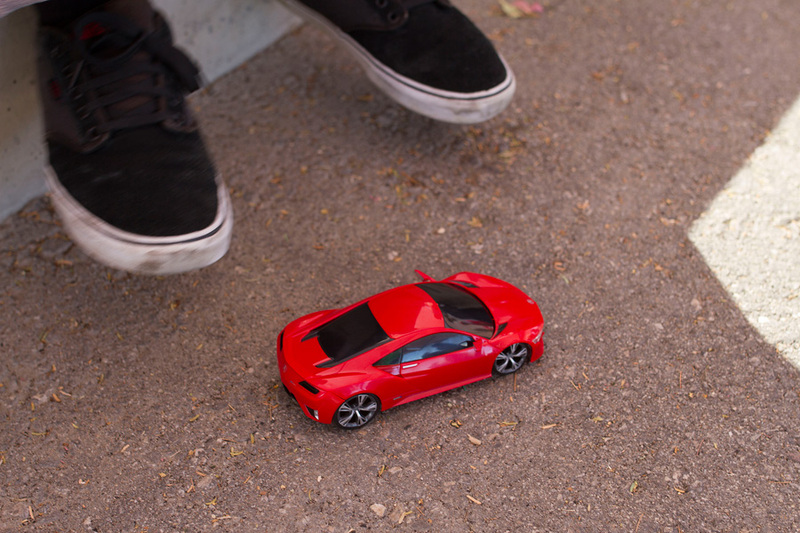 The late summer’s heat cranked up, but that didn’t stop attendees from pushing their cars to the limits. Capping off the track event was a special ride-along for 3 lucky attendees in the new Berlina Black NSX as part of a charity raffle. Over $2,000 was raised for Rides for Kids in connection with this activity. Seasoned racecar driver Peter Cunningham from RealTime Racing was the pilot in command during those ride-alongs. 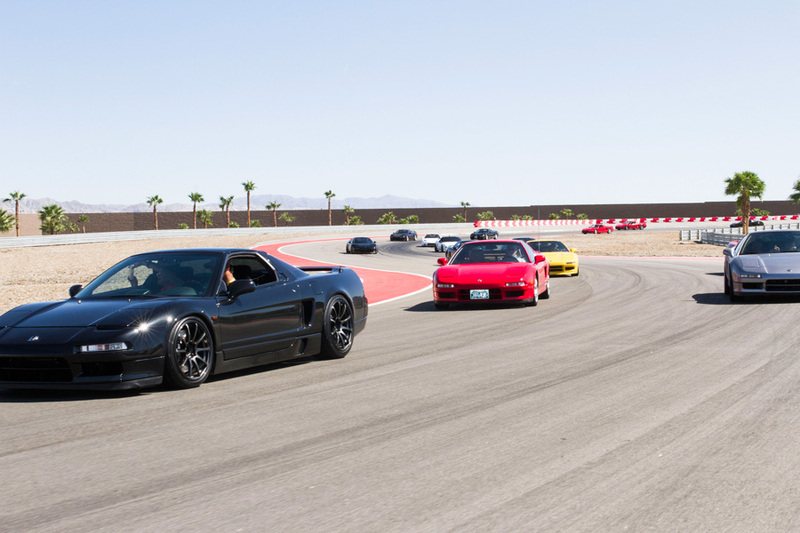 All NSXs were allowed on the track for a couple of low-speed parade laps. 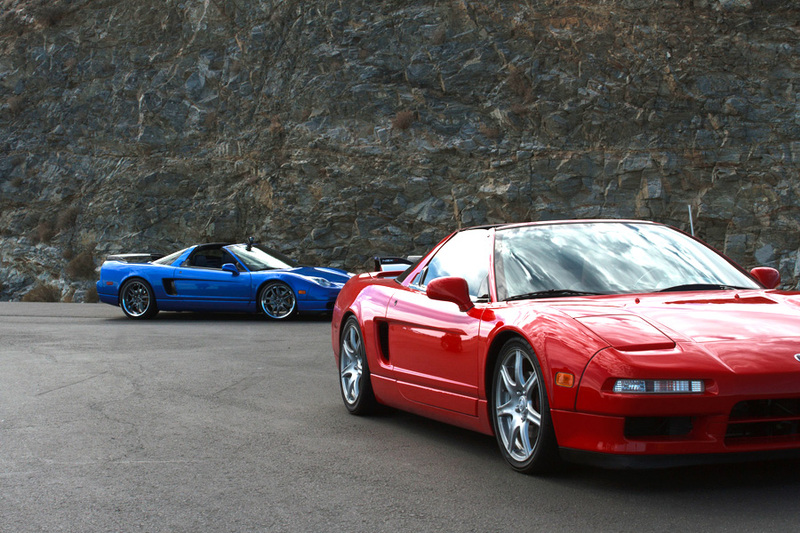 It was a surreal experience for NSX enthusiasts to see the sheer volume of cars. That evening, The Living Desert botanical garden provided club members with a catered meal under the stars. 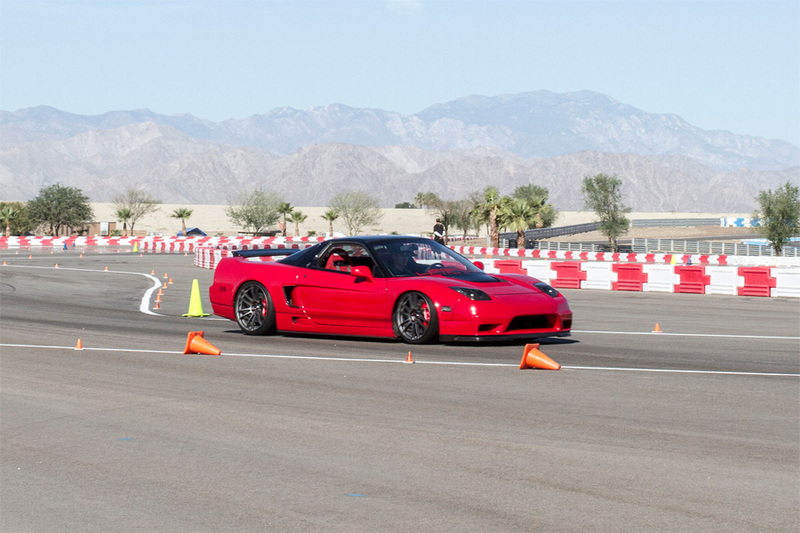 The NSX has always received accolades for its handling, so it was only fitting that NSXPO incorporated a real-world driving experience and for that, a 103-mile drive route was planned for Saturday morning that would take club members from the desert floor to over 6,000 feet in elevation on some of the best twisties in Southern California on Highways 243 and 74 through the beautiful San Jacinto Mountains. 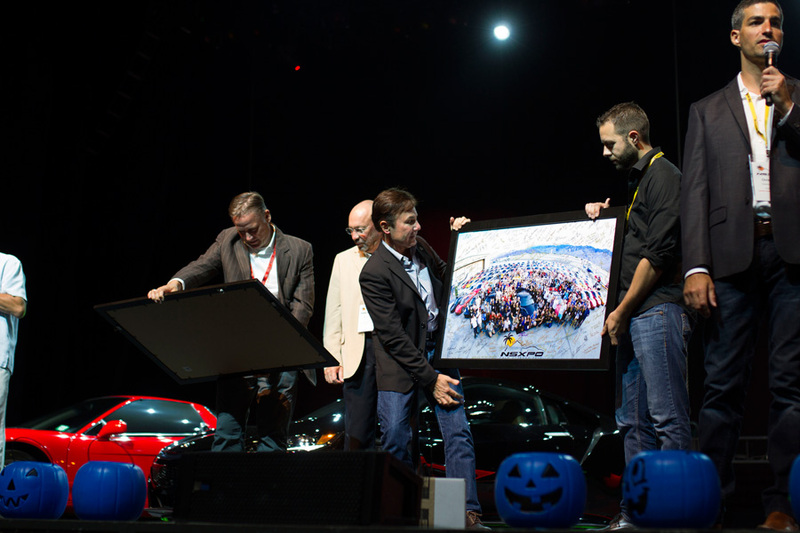 The final event at NSXPO was a world-class closing ceremony at “The Show” – an advanced and luxurious auditorium at the Agua Caliente Resort. Capable of seating several thousand, The Show was configured for a more intimate setting with individually spot-lit banquet tables and special custom-built centerpieces by Planning Committee member JC Converse. 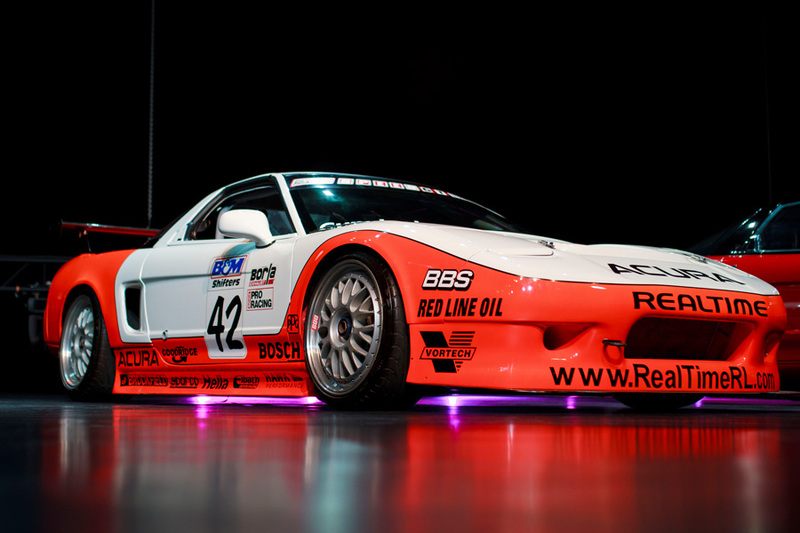 On stage were a 1999 Zanardi NSX, the new NSX, Peter Cunningham’s RealTime Racing NSX, and a NY-based club member’s pristine 1993 NSX. The wait staff served up fine dining while presenters took the stage for the night’s program. 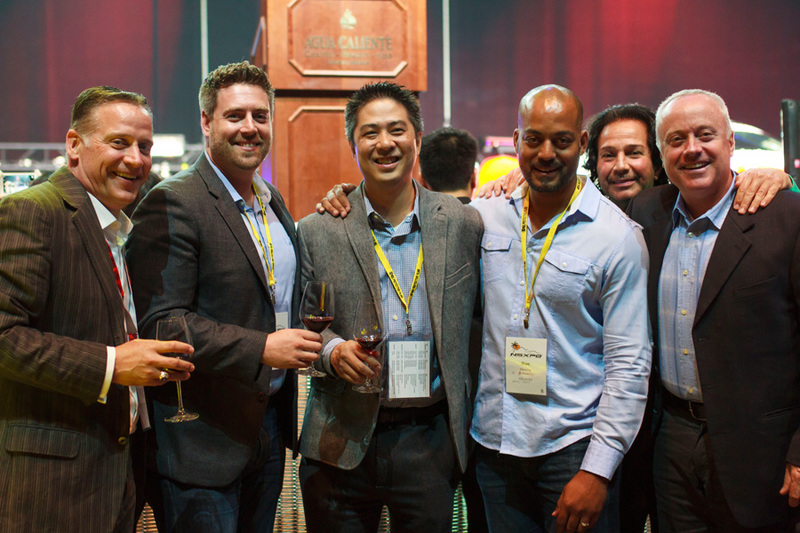 Keynote speakers were Michael Cao, Ted Klaus, and Peter Cunningham. Finally, over $30,000 in donated prizes were raffled off at the end of the night to many lucky winners. Some of the prizes were high-dollar items like an Exedy clutch and a full set of Rays Wheels. The overall sense of “family” throughout the event was what made NSXPO so special. 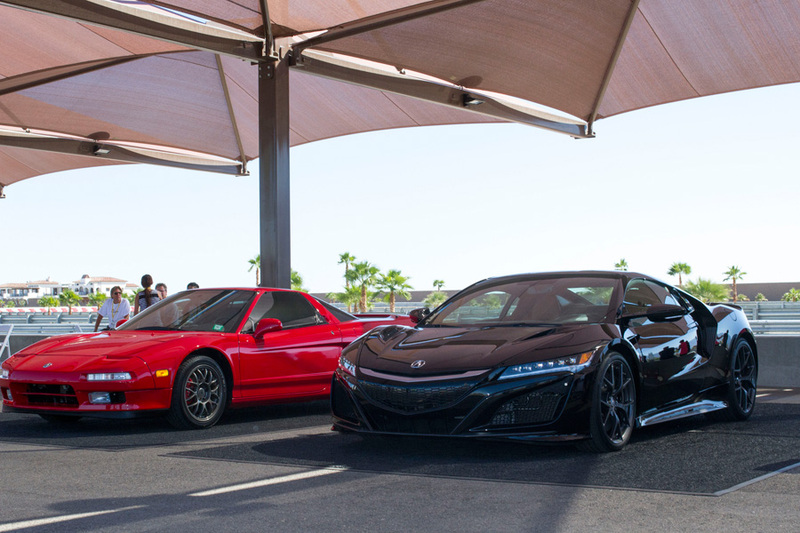 No matter the demographic background, all attendees shared a common love and passion for the NSX and many new friendships were made. 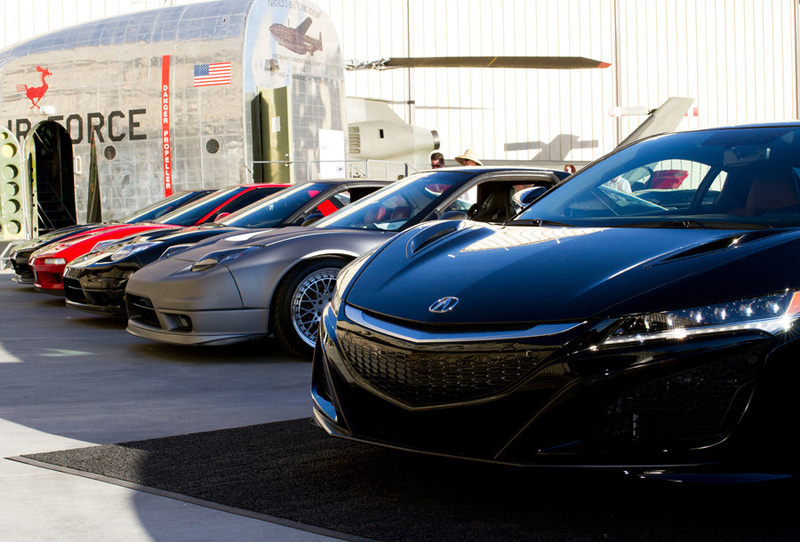 Having the all-new NSX present at this year’s event was a real treat, and it was a fitting celebration for the original car’s 25th anniversary. The NSXPO Planning Committee’s hard work and dedication paid off in a big way, but they couldn’t have done it without the tireless work of the many sponsors, volunteers, and exceptional venues that made it happen. Thanks to everyone who was involved in making this New Sports eXperience one of the best ever. Thanks, Chris, for sharing this! Keep up the great work with the site! @tyson Congrats to you and the rest of the NSXPO team for putting on such a great event!